On today’s episode, we’re hanging out with our real life best friends, Brit and Richard. We ask them about how they met, what they like to read, and which television shows they’re loving lately. In between all of that is a lot of laughter and a little bit of real talk, which pretty much sums up our collective friendship and every time we get together. Brit and Richard will be joining us later this month to talk about If Beale Street Could Talk by James Baldwin. We all saw the movie together a few weeks ago, but none of us have read the book. We hope you’ll join us for that conversation, too! 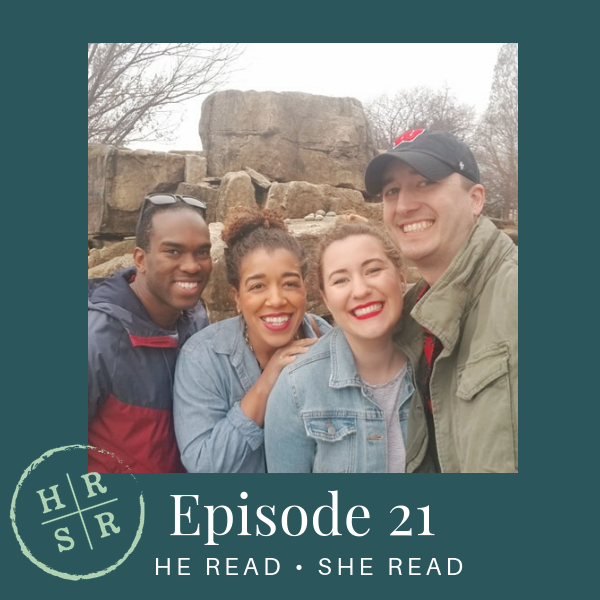 Today is a great day to recommend the He Read She Read Podcast to your best friends or neighbors.